Spout Pail 12qt is rated 4.3 out of 5 by 22. Rated 5 out of 5 by Joey from This pail is being used as a mop bucket and works very well. This pail is being used as a mop bucket and works very well. Rated 5 out of 5 by Mimi from Our church ministry donated these as water buckets for dogs... Our church ministry donated these as water buckets for dogs at our local shelter. They worked great. 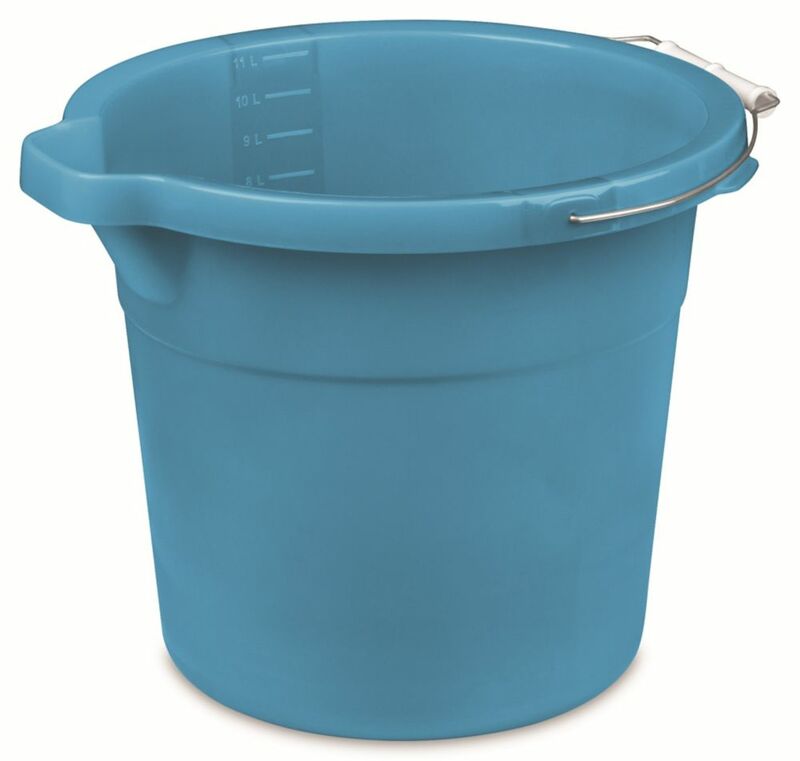 Rated 5 out of 5 by Itsalotofus from Great size to leave at the dorm This bucket isn’t not too big and just right to leave at the dorm for cleaning. Rated 5 out of 5 by Alex from I was pleased with the bucket, because I use it to water my plants.. I was pleased with the bucket, because I use it to water my plants..